Software Factory simulates the software development of a real start up company. The basic degrees in computer science are Bachelor of Science (BSc) and Master of Science (MSc). The major subject in both the degrees is computer science. The common ground of the BSc is followed by three separate subprogrammes at the MSc level: Algorithms and machine learning and Networking and services are given in English, and Software systems in Finnish. 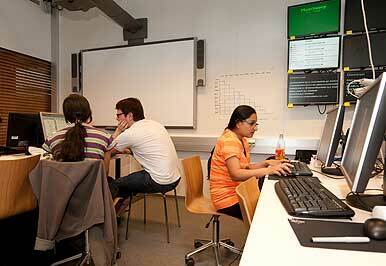 In addition, the Master's Programme in Bioinformatics is coordinated at the department. Teaching and the improvement of teaching has long been well developed and resourced. The department entered its first year as one of only 10 units awarded the status Centre of Excellence in higher education in Finland for years 2010-2012.